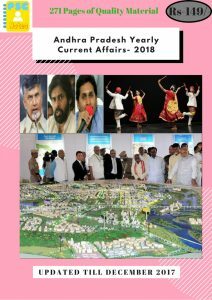 Registering above 1.25 lakh metric tonnes of brackish water shrimp production in 2017 (January-November), Krishna district became the largest shrimp producing district in the country. In the financial year 2016-17, the turnover of the shrimp exceeded ₹3,300 crore by producing 1.02 lakh metric tonnes in the district, despite rejection of the shrimp by the European Union countries on the grounds of indiscriminate use of antibiotics. In recent years, aqua farmers have focussed on cultivation of wild crab (Scylla serrata), a brackishwater species that has a great demand in Asian countries. The shrimp cultivation is flourishing surrounding the areas of mangrove cover, wetlands and Krishna estuary. The production of marine shrimp was recorded barely 13,590 metric tonnes in Krishna since January 2017. The famed Mathematician Srinivasa Ramanujan’sbirth anniversary on December 22 is celebrated as National Mathematics Day. It was in 2012 that then Prime Minister Manmohan Singh declared December 22 as National Mathematics Day. In 1917, Ramanujan was elected to be a member of the London Mathematical Society. In 1918 he also became a Fellow of the Royal Society, becoming the youngest person to achieve the feat. He passed away on April 6, 1920. The Minister of Communications Shri Manoj Sinha has launched DARPAN – “Digital Advancement of Rural Post Office for A New India” Project to improve the quality of service, add value to services and achieve “financial inclusion” of un-banked rural population. He said, the goal of the IT modernization project with an outlay of Rs. 1400 Crore is to provide a low power technology solution to each Branch Postmaster (BPM) which will enable each of approximately 1.29 Lakhs Branch Post Offices (BOs) to improve the level of services being offered to rural customers across all the states. Shri Sinha said that as on date, 43,171 Branch Post Offices have migrated under the “DARPAN”project with the aim of financial inclusion to rural population and it is targeted to complete the project by March, 2018. The Indian Army’s Southern Command had conducted exercise ‘Hamesha Vijayee’ in the deserts of Rajasthan to evaluate the capability of the armed forces to strike deep into the enemy territory in an integrated air-land battle. The military exercise is being carried in the general area of Barmer and Jaisalmer and aimed at fine-tuning surveillance and destruction mechanisms to support precision strikes and manoeuvres by network-enabled forces. In an eco-friendly measure to cut power consumption, the Indian Railways planned to make all stations cent per cent LED lit by March 31, 2018. 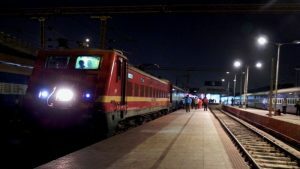 The railways said it was actively working to provide 100 per cent LED lighting for energy needs in railway staff colonies, stations and platforms. Till November 2017, about 3,500 railway stations had already been provided with cent per cent LED lights. About 20 lakh such lights were installed. A light-emitting diode (LED) is a semiconductor device that emits visible light when an electric current passes through it. The light is not particularly bright, but in most LEDs it is monochromatic, occurring at a single wavelength. The output from an LED can range from red (at a wavelength of approximately 700 nanometers) to blue-violet (about 400 nanometers). Some LEDs emit infrared (IR) energy (830 nanometers or longer); such a device is known as an infrared-emitting diode(IRED). CFL bulbs are referred to as “Compact Fluorescent light” light bulbs are more energy efficient bulbs as compared to the incandescent bulbs, but less efficient than LED. These bulbs are made up of Argon and the small amount of mercury. They are used in offices, stores, homes, and schools, etc. for the lighting purposes. Indian Naval ShipsTrikand and Teg are deployed to Oman for bilateral exercise‘Naseem Al Bahr’ or ‘Sea Breeze’. India’s first and only design university, ‘ the World University of Design’ opened its campus at Sonipat, Haryana. The University is promoted by Om Parkash Bansal Educational and Social Welfare Trust of Mandi Gobindgarh, Punjab. The university is currently located in a sprawling lush green picturesque campus with the state-of-the-art infrastructure and world-class facilities. WUD is India’s first university dedicated to education in the creative domain.